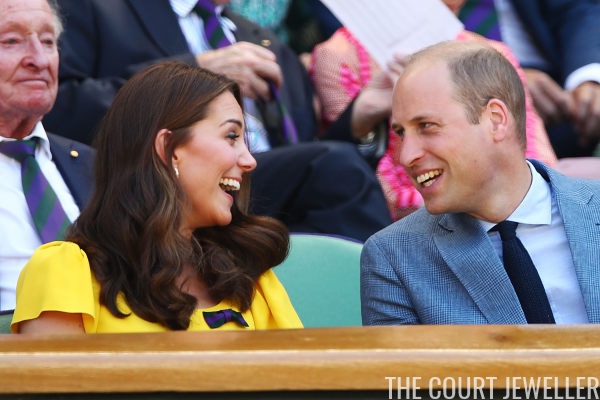 On Saturday, the Duchess of Cambridge brought her sister-in-law to Wimbledon, and on Sunday, she brought her husband. 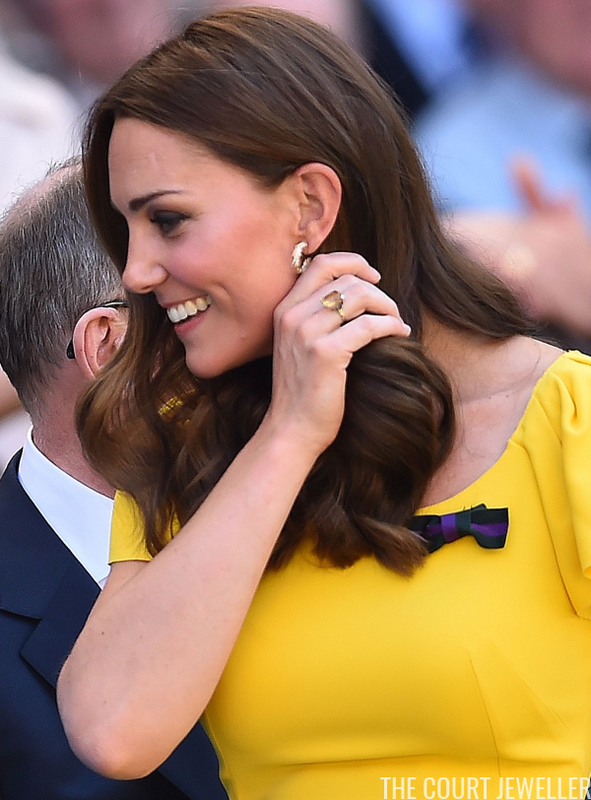 Here's a look at the jewels Kate wore as she took in the men's final with William. Both Kate's necklace and earrings from Sunday's match are by Asprey. She's been wearing the Woodland Charm necklace for years, and on Sunday, she added the brand's Oak Leaf Earrings in gold. Along with her usual engagement, wedding, and eternity rings, Kate also wore a ring on her right hand; this appears to be the same ring that she wore at Harry and Meghan's wedding in May. 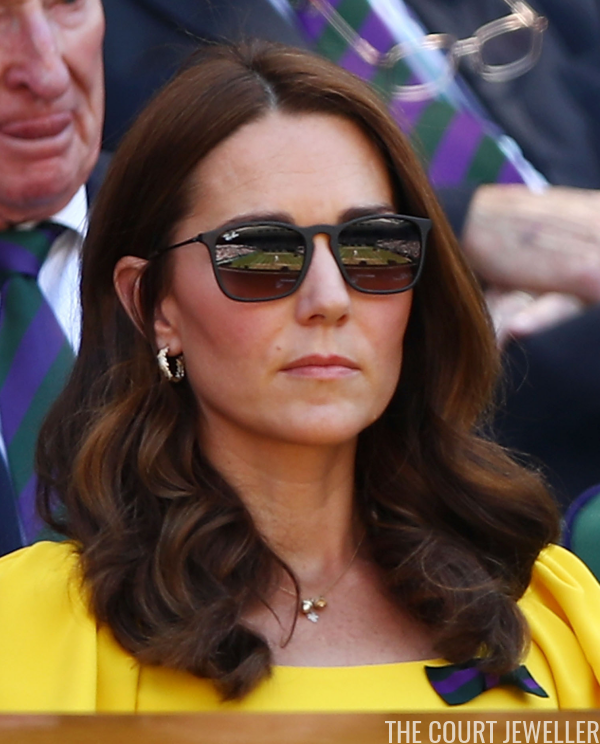 Here's a look at Kate's sunny yellow dress for the match.